Leaves present in early spring without flower. Then wither away prior to flower presenting in July. Flower up to 50 on terminal umbel. Very small individually, 1/8 " to 1/4 ". 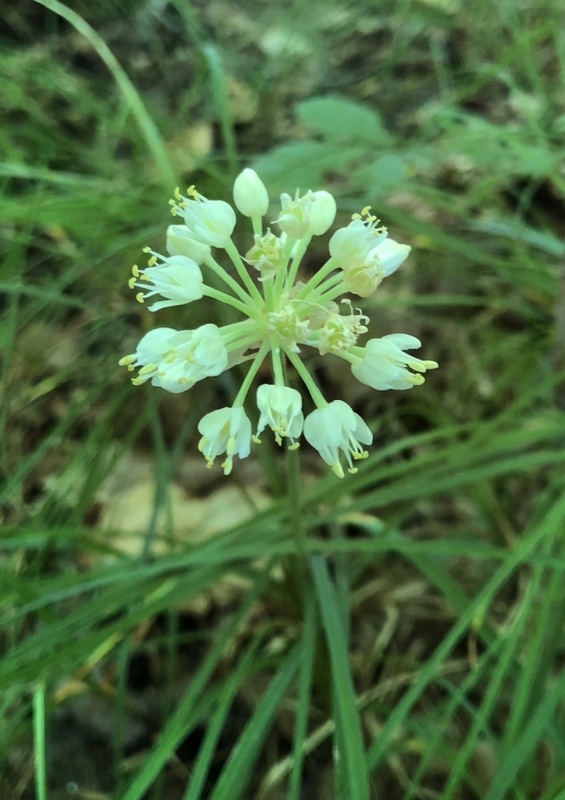 Both leaves and flower smell like onion. July 18, Big Rapids High School.